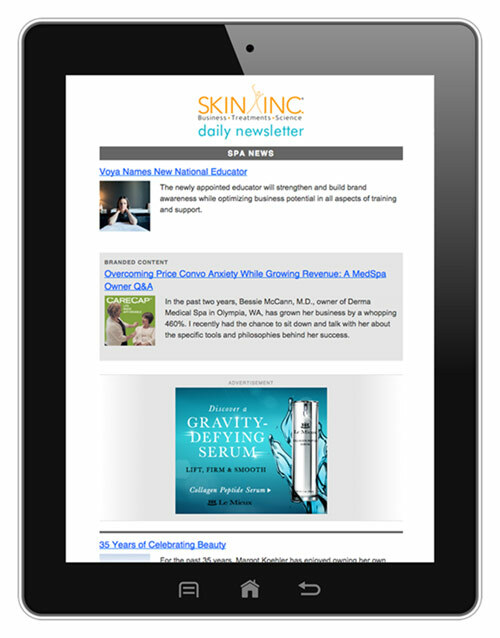 Subscribe to the Skin Inc. e-newsletter! Sign up for your free subscription today! Questions? Please contact customer service at customerservice@skininc.com or by calling (800) 362-2192. For customers who live outside of the United States please call (847) 559-7551.